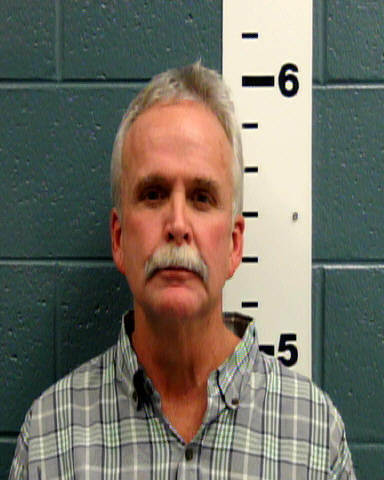 LAS CRUCES, NM — Doña Ana County District Attorney Mark D’Antonio announced Tuesday that John W. Gose from San Miguel pleaded guilty to four meth-related counts in a Las Cruces courtroom on Monday. Gose, 56, was charged with two counts of Trafficking by Manufacturing — each a second-degree felony — and one count each of Possession of a Controlled Substance and Possession of Drug Paraphernalia. Gose taught science for eight and a half years at Irvin High School, El Paso Independent School District officials confirmed Tuesday. According to police reports, Gose told a roommate he used to teach chemistry. He resigned from the district in Dec. 2008 and took a job with as a vocational teacher at Oñate High School with Las Cruces Public Schools in January 2009. After one semester with LCPS, Gose resigned but returned to the district to teach eighth grade science at Camino Real Middle School from Aug. 2013 through Feb. 2016. Gose was arrested on the evening of Oct. 2, 2016, after a traffic stop. During the stop, officers with the Las Cruces Police Department discovered a white, Styrofoam ice chest containing glassware, rubber tubing and chemicals which a lab later confirmed can be used to manufacture methamphetamines. The case was turned over to New Mexico State Police, and a subsequent search of Gose’s property on Hwy. 28 turned up further chemicals and supplies which suggested the former teacher was manufacturing meth. Investigators said Gose was in possession of the ingredients necessary to yield at least one pound of methamphetamines, which has an estimated street value of $44,800. District Judge Fernando Macias ordered Gose to undergo a 60-day diagnostic evaluation in the custody of the New Mexico Department of Corrections before sentencing.